Yale University Press, 9780300203493, 272pp. 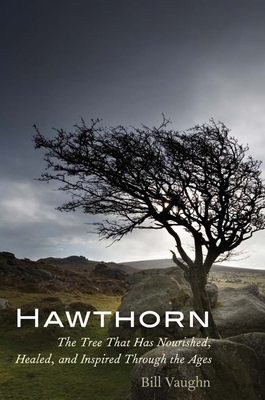 One of humankind’s oldest companions, the hawthorn tree is bound up in the memories of every recorded age and the plot lines of cultures across the Northern Hemisphere. In Hawthorn, Bill Vaughn examines the little-recognized political, cultural, and natural history of this ancient spiky plant. Used for thousands of years in the impenetrable living fences that defined the landscapes of Europe, the hawthorn eventually helped feed the class antagonism that led to widespread social upheaval. In the American Midwest, hawthorn-inspired hedges on the prairies made nineteenth-century farming economically rewarding for the first time. Later, in Normandy, mazelike hedgerows bristling with these thorns nearly cost the Allies World War II. Vaughn shines light on the full scope of the tree’s influence over human events. He also explores medicinal value of the hawthorn, the use of its fruit in the world’s first wine, and the symbolic role its spikes and flowers played in pagan beliefs and Christian iconography. As entertaining as it is illuminating, this book is the first full appreciation of the hawthorn’s abundant connections with humanity. Bill Vaughn writes for many publications about topics ranging from sports to the paper industry, fashion to the cattle business. He lives outside Missoula, MT. Selected to receive Honor Book recognition for the 2015 Montana Book Award.